Since ancient times, women have danced in ritual celebration – invoking energies of the Universe, manifesting beauty, opening portals to subtle realms, and transmitting blessings through their bodies. As temples and places of worship flourished, the sacred act of dance was used as a sublime vehicle of prayer, healing, and honoring of the Divine. The Ritual Temple Dancer Workshop is a journey into women’s ceremonial dance -- inspired from the temples of Egypt, the secret gardens of Turkey and Central Asia, the mandirs of India and the monasteries of Tibet, this special gathering will encompass the magic of the High Priestess, the medicine of the Sha-wo-man, the devotion of the Deva Dasi, the transcendence of the Dakini and the celestial realms of the Apsara. 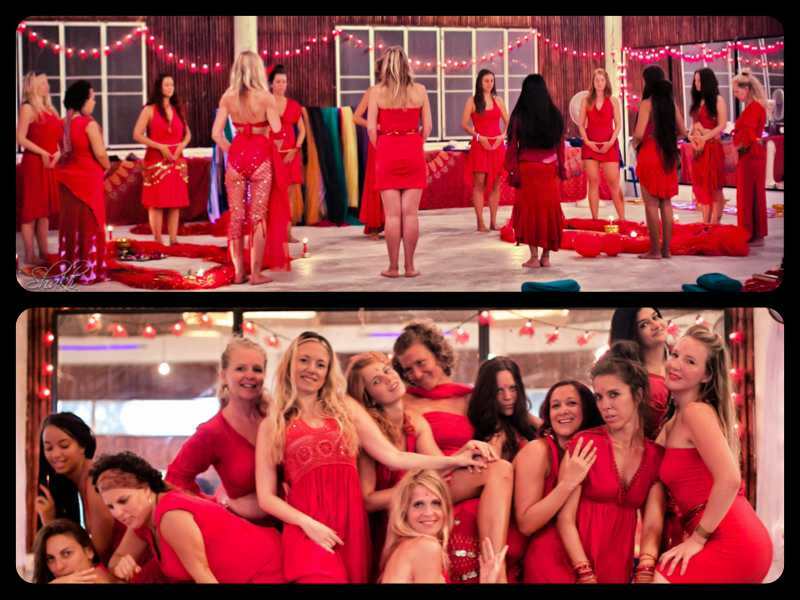 The workshop is a creative mix of Goddess exploration from various traditions through sacred and improvised/free movement, connecting us with long lineages of women who have channeled mystical energies through dance. The role of ritual and ceremony as an overall container, and within the dance, will be explored. There will also be self-development activities, transfiguration, meditation and visualizations to delve deeper into our ultimate essence, and connect us in a potent, embodied sisterhood. As a special highlight, we explore the secret jade egg practices in a rites of passage women’s circle. The course culminates with a powerful ritual dance ceremony, weaving together elements of our unique gathering. Who is this workshop open to? The Ritual Temple Dancer workshop is open to any woman who would like to delve deeper into the inter-relationship between movement, ceremony and sacred Feminine practice. No previous dance experience is required although there will be a variety of dance techniques explored within a short time, and a number of different movement styles highlighted, including ecstatic Journey Dance. As this is a shorter course, it is more of a broad overview rather than an in-depth exploration. Basic beginners will be supported through clear and practical instruction. The course emphasis is on experiencing the mystical aspect of movement rather than the mastery of technique. The program will be a combination of led/choreographed dance, dance meditation, improvisation, free-dance and experimental group creations. 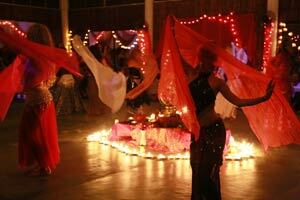 Enrollment in the Ritual Temple Dancer workshop will be limited. Registration is handled through a first-come, first-served basis and will conclude when the slots are filled, so register early to ensure your participation. The past Mystical Dance and Mystical Dance Teacher Training Course have been full and waitlisted, so take the time to enroll now. We will meet approximately six hours per day (potentially longer on the last day). The typical core hours will be from 9:00 – 12:00 and 17:00 – 20:00.. Approximately half of our session time will be devoted to dancing, and this will be balanced with meditations, theory, special themed exercises, and Goddess ~ self-discovery activities. Bring comfortable practice clothes. A flowing skirt and hip scarf are helpful. You are encouraged to wear anything that particularly inspires your inner and outer feminine spirit. Veils, candle props and Goddess fingers will be provided as necessary to use during the workshop. For the final ritual, we will adapt the beautiful clothes and jewelry you already have into a ritual temple dancer costume, so please bring your favorite pieces, especially items to create a ceremonial head piece that you can dance in. A life-long dancer and dedicated proponent of movement as mysticism, Monika Nataraj has danced in the temples of Egypt, Turkey, India, Tibet and Thailand. For her, dance is a consecrated offering, connecting us back to our true nature, and an authentic path of spiritual transformation. Monika is the creatrix of the pioneering 200-hour, six-week Mystical Dance® Teacher Training Course and the 150-hour Shakti Spirit Teacher Training Course. She is a senior teacher with Agama Yoga, co-founder of the Agama branch in Dharamsala, India and an Agama Shakti Group leader. 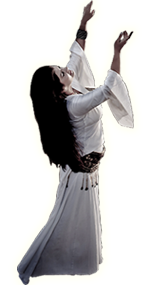 Monika began to perform belly dance professionally in New York City in 1993. She has studied and performed ballet, Gurdjieff Sacred Movements, Sufi whirling, and Odissi Temple Dance (Indian classical dance.). See www.mysticaldance.net for more details. Monika began her Agama Yoga studies at the end of 2000 and in 2006 completed 42 months of formal tantric study with Swami Vivekananda. She is profoundly grateful for her experiences with Agama, which led her to develop the Mystical Dance® approach. Since 2006 until present, she has actively explored tantric ritual in India with Guruji Raj Kumar Baswar. Since 2008, she has attended the annual summer Sufi Sema (whirlng and chanting) ritual with Tumata in Turkey. In addition, Monika is a Core Faculty member of the esteemed Omega Institute in New York. Her love of dance, ritual and Tantra Yoga, combined with a passion for teaching, keeps her globe-trotting. 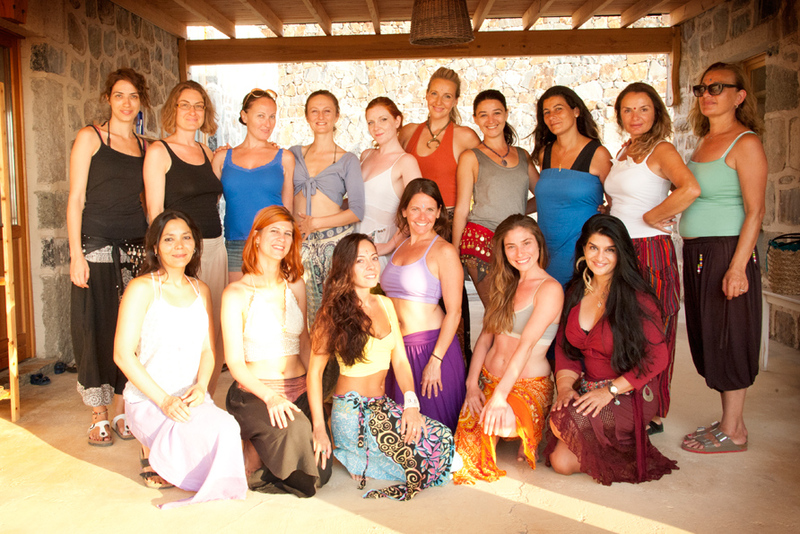 Most recently, Monika has held Mystical Dance® workshops in Thailand, India, Turkey, China, Belgium, Ireland, France, England, Bulgaria, Czech Republic, Morocco, Israel, Cambodia, Vietnam, Japan, Canada, Costa Rica and the USA. Her students unequivocally agree that her courses are inspirational and, for many, life-changing. She also leads Tantra for Women courses and sacred dance pilgrimages world-wide. In August 2012, she inaugurated a women’s journey to dance in the ancient temples of Artemis and Aphrodite in Turkey and continues these sacred journeys, including ritually exploring the Medusa Temple in south Turkey. Email monika@agamayoga.com or refer to www.mysticaldance.net for any additional dance questions. For more information on location, housing, registration, and Yoga activities, please see www.agamayoga.com and www.agamayoga.com/faq/ . The next Ritual Temple Dancer workshop is offered March 2-4, 2016 in our Green Goddess Temple on the beautiful beaches of Koh Phangan, Thailand. Register here for this rich tapestry of women's sacred dance and ceremony.